We are always searching for new solutions. 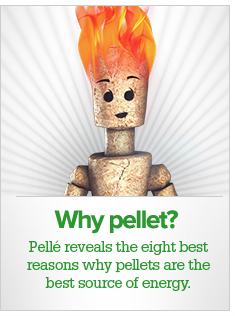 The development of the world's first type-tested pellet boiler, the integration of condensing technology with pellets, and the presentation of a pellet boiler for generating power have made us the benchmark in heating with pellets. Furthermore, we are committed to environmental protection. Apart from using the C02-neutral, renewable raw material that is wood, we feel committed to the environment in other areas as well. 100% green electricity, low-energy construction methods for our company buildings, electric vehicles for company cars – to name just a few examples.